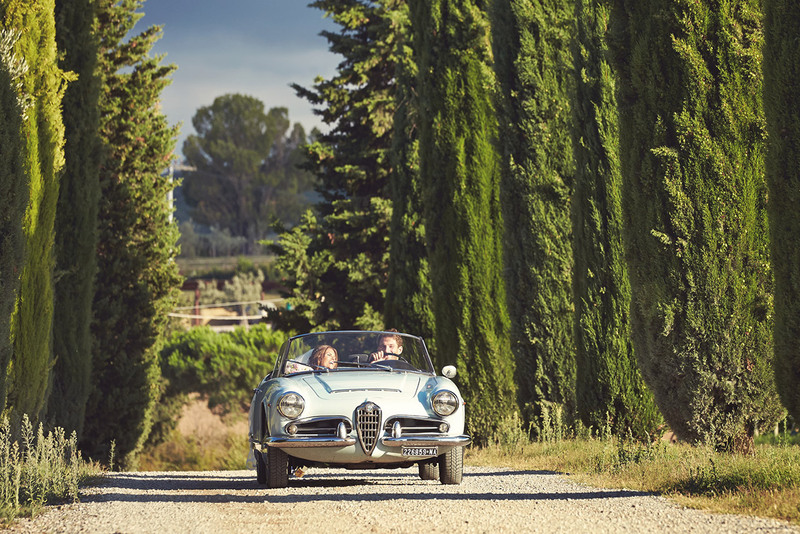 The best way to explore Tuscany is by driving. Contact us for vintage car rental in Tuscany. Whatever type of wheels you have under, cross the beautiful region and truly experience the diversity of the territory; enjoy the panoramic views in Val D’Orcia, the most beautiful wine road Chiantigiana 222, the spectacular mountain area of Garfagnana, green woods of Casentino or the beautiful seaside by the Etruscan coast. What is best, you are free to stop by the local villages and get to see some authentic and hidden corners of the country. We can help you to plan lovely itineraries for day trips or plan you a week of stylish road tripping around selected areas. Rent a cool drive among many vintage or luxury car models; Alfa Romeo, Fiat, Lamborghini, Triumph or Ferrari! All the cars are rented with 24 h assistance, road maps and full insurance.